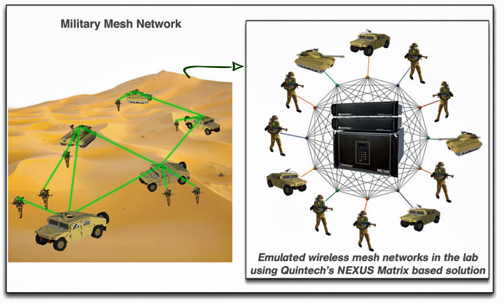 Quintech Electronics & Communications, Inc.'s new NEXUS-3 Mesh Matrix product has been purchased by a leading defense contractor to enhance that firm's RF wireless testing in support of US Government activities. Quintech’s mesh matrices are used in research test beds to certify the design of critical communications technologies for the military. The NEXUS-3 mesh matrix attenuator switch is available in 8, 16, 24, and 32 port configurations. 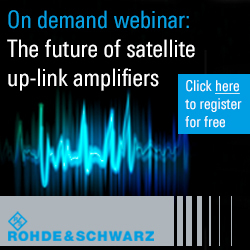 With integrated programmable attenuators, a device under test can send and receive signals to any or all other connected devices with independently controlled signal levels. The mesh test matrix passes signals from UHF radio, 3G, 4G/LTE, and 2.4 GHz Wi-Fi. Frank Elling, the President of Quintech Electronics, stated that the NEXUS-3 mesh test matrix provides best-in-class, port-to-port isolation and minimal crosstalk. High input levels up to 45 dB are routed with zero signal distortion. Quintech's Q-LAAMP lab management software platform provides an easy-to-use intuitive web browser GUI with both manual and automated sweep control of the attenuators.